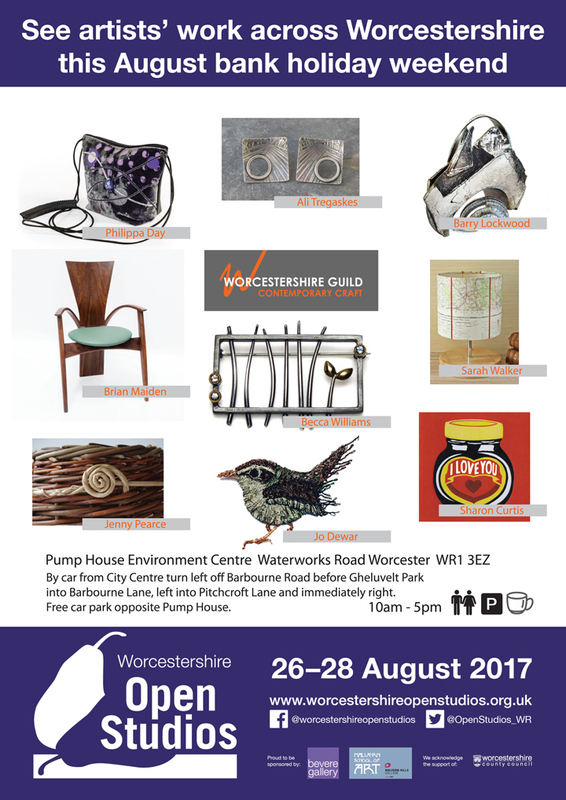 I’m taking part in Worcestershire Open Studios this year, alongside fellow Worcestershire Guild members, at the Pump House in Gheluvelt Park in Worcester. You’ll find linocuts, silver jewellery, furniture, raku ceramics, willow baskets, woven wire creations, embroidered textiles and stitched paper lampshades! There’s a cafe, free parking and a lovely park to enjoy a picnic if you prefer.